We began this chapter with the HRVWE success codes, a suggested best current set of life purposes, habits, attributes, goals, skills, and priorities for maximizing our personal foresight. Whatever ideas, feelings or behaviors you find most useful for success, to the extent that they are generally useful, you can build them into habits. The great advantage of habits is that they take on their own momentum in your life. They work unconsciously, requiring less will power on your part to make them happen. Do you think a morning coffee is a good way to start the day? After you’ve done it a few times, it becomes a habit. It wants to keep going, on its own. 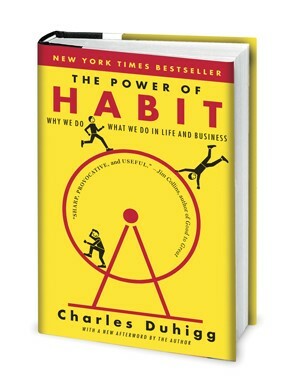 Charles Duhigg’s The Power of Habit, 2014, is a bestselling introduction to the emerging science of habit formation and change, in business and in life. It is a great place get you started on the search for what we can call “healthy habits”, positive routines that keep you healthy, strong, growing, motivated, and best able to employ the Five Goals and Eight Skills to manage and lead yourself and others. There are two major steps that will help you in this arena: 1. Diagnosing your present habits, and 2. Swapping out bad habits for better ones. Many people never make it to Step 1, a strong awareness of their present habits, both bad and good. That’s your place to start, and reading Duhigg’s book while reflecting on your life so far will help. Looking back through your Actualizer, a powerful productivity tool we’ll discuss shortly, is another great way to understand and document your current habits. Among the many sets of habits we could discuss, let’s just mention just a few for starters. 1. Standing Desks. Here is an obvious healthy habit that has grown steadily over the last decade: standing desks. If you were to read a book, do you think you’d be able to read it faster and with better concentration if you read it sitting in a hard chair at a desk, or in a comfortable plush lounger? The chair is better, obviously, anytime you are reading for performance, rather than simply pleasure. Much of our reading is for pleasure, especially fiction. But when performance counts, we should always go for the hard chair. Some of us also benefit from an environment, like a coffee shop or a library, where others are doing the same thing. In the same way, it turns out that reading while standing activates your body’s physiology, and allows far better concentration for longer periods, with less injury and morbidity, than reading while sitting. I first did this with newspapers, learning that I could go much faster, and learn much more, by reading them at the counter. 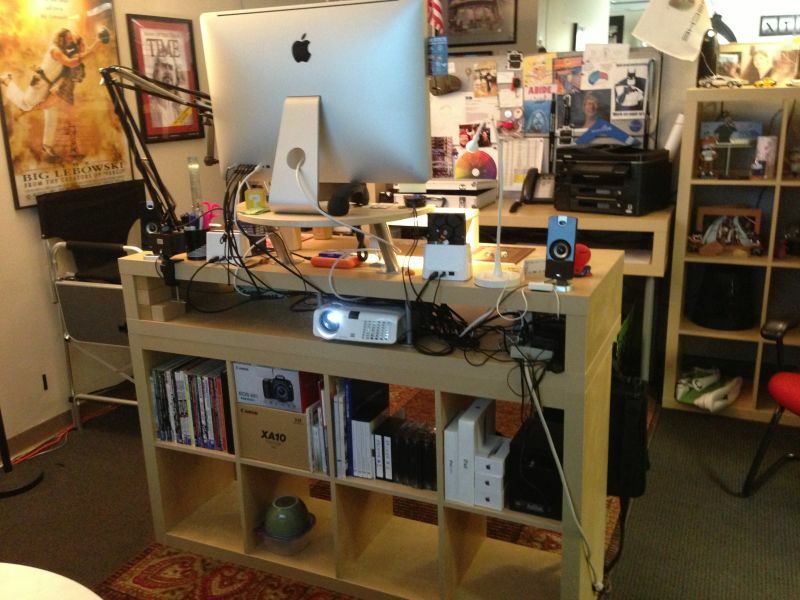 When standing desks came out, I started using them. Companies like Varidesk ($175) and Autonomous ($300) offer nice sit-stand adjustable desks, or desk additions. Here’s a lovely $22 version of a DIY standing desk. Studies are finally showing that standing desks boost productivity, not just health. Standing desks boost your productivity by over 50% in some cases, when you use them to stand all day long. Sitting on an exercise ball instead of a chair helps, but that is also not as productive, in my experience, as working while standing. The best habit by far, once you’re used to it, is to stand all day, and take breaks when your feet get tired. The key in starting this healthy habit, like many healthy habits, is that the earliest period of forming the habit may not move you in the direction you want. The first three weeks to three months that you use a standing desk, your productivity may not improve that much, it may even go down a bit, and it will be uncomfortable. After three years of using standing desks I am convinced that one way to misuse them is to regularly try to alternate between sitting and standing configurations. I used to think that was the right way to use them, as that is how they are designed, but now I’m convinced it isn’t. You could make a case that having the ability to sit with them is useful for transitioning into the habit, but even there, I think that’s just wishful thinking for most of us. Most of us don’t need that transition. If you are overweight, significantly ill, or not yet of average fitness, you may find that sitting all day, or just standing for brief periods, is better for you. For most of us deskbound folks who want to substantially improve our work performance, health, and prevent work-related injury, committing to try standing all day, for a minimum of three months, is the best habit. The key to remember with standing desks that if we have the sitting option most of us will use them to sit more than we should, and when we go back to sitting we get all the health problems and performance losses associated with sitting, and we have all the temptations of continuing to sit in a comfortable, party asleep position. Shift your weight from one foot to another, or to both, to your toes or to your whole foot, every few minutes, all day long. That will keep your body more energized. Sway your hips forward, back, or in a circular motion, widen or narrow your stance, or wiggle one of your legs every so often. That also keeps you energized. Wear shoes that give you the ability to wiggle and scrunch your toes, that have thick foam soles, and that are so light you don’t feel them. The best I’ve found so far are crocs or flip flops. Slip out of your work or athletic shoes into your work flops or crocs at your desk, and your feet will feel energized all day long. Find and listen to good work music that promotes both concentration and slow rhythmic movement. Google Play is a great place to find or build playlists (their drag-and-drop playlist-building interface is the easiest and fastest I’ve found to date). Here’s a public playlist of mine for those who like electronic and ambient music, for example. There are also lots of classical, movie soundtrack, and other great work music options. If you have mental or creative work to do, few to no words in your work music is generally best. Take regular brief breaks when your feet or legs finally get tired. We’re all supposed to take 5-10 min breaks every hour or so anyway. Standing all day will encourage you to take those brief breaks. Sit, lounge or lay down entirely flat somewhere with your eyes closed every so often, and you’ll truly be energized for the next work session. My best 10 min breaks, which I try to take at least once on particularly tough days, involve a quick drink or bite of something, finding a cool place to lay down for 10 mins, and using earplugs and eyeshades to really relax. Your car can work if your workplace doesn’t offer nap spaces. Then wash your face, take a quick shower, or take a short brisk walk and stretch if you need help getting alert again. Find your best break routines and do them regularly. Each time you’ll be deeply reinvigorated for at least an hour afterward. This should help convince you that you don’t need to buy the fancy adjustable standing desk, once you’re ready to give working while standing a good, three week to three month trial. 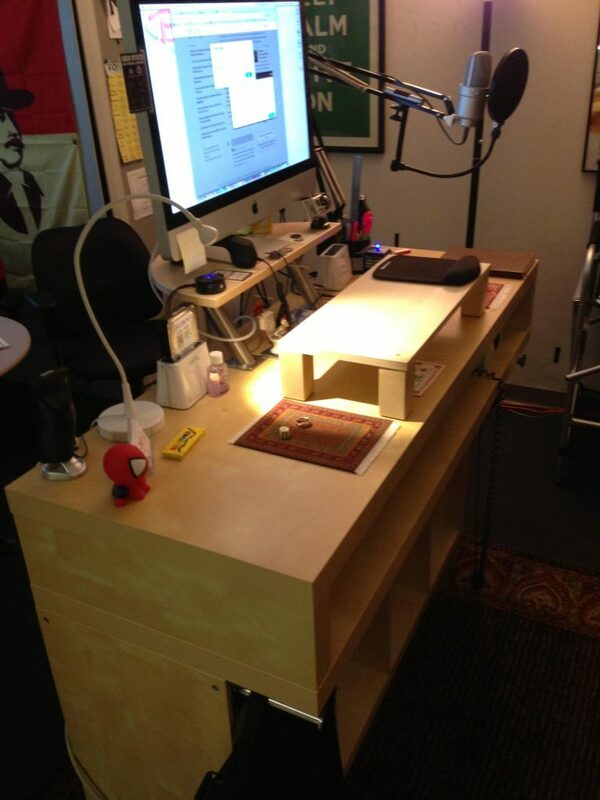 You can save money, take away temptation, and do a lot better workplace customization if you move to a nonadjustable DIY standing desk like the $22 version listed above, or better yet, buy a nonadjustable high table or bookshelf, like Ben Niedenthal’s lovely $150 Ikea bookshelf-standing desk hack pictured at left and right. I like Niedenthal’s multilevel desk, monitor, and typing height configuration (see left). Finally, keep in mind that using two or three monitors on a single virtual desktop, or a very large wraparound monitor (most expensive), rather than the partial field of view monitor pictured on Ben’s desk will also also make you substantially more productive over the day. Notice the complexity of this habit. Without all the associated subhabits, plus others I may have neglected, and the recognition that there will be an adjustment period in moving to the new habit, it may not work for you. Better habit formation is thus a complex process, and it requires careful attention to often hidden supporting factors. 2. Scrum for Small-Team Collaboration. Another great habit that has an initial learning curve is using scrum-like systems for small team collaboration. 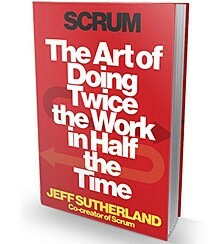 Sutherland and Sutherland’s Scrum: The Art of Doing Twice the Work in Half the Time, 2014, is a general introduction to scrum, a set of lean and agile project and software development tools and habits that empowers small teams to be more productive. It offers a brief overview and sales pitch for this powerful set of workflow habits. If you are impressed with the technique, as many are, read its appendix for the execution details. As with standing desks, there are a variety of supporting factors you need to get right to make scrum collaboration far more productive, in many small-group contexts, than whatever you might be using today. A raft of books with names like “scrum”, “agile” and “lean” can be found for lists of collaboration techniques, which are still evolving. To that end, a communication platform called Slack, which can be used to add more scrum-like transparency, structure, and useful archives for small team interaction compared to email, is finally started getting traction. I used Slack for class interaction in a graduate course on technology foresight I taught at the University of Houston in 2015, and found it a lot more useful than the slow and uncustomizable course management software like Blackboard which most universities get, under contract from the large educational software providers. Expect a lot more of these kinds of cloud platforms going forward. 3. Energy Management. Another powerful set of healthy habits revolves around maximizing your personal energy, and break recoveries (like the naps mentioned above). The real resource you care about, even more than things like “time”, is your energy level throughout the day. Many of us are near maxed out on the time we can allocate to our projects, but we are far from optimum on our energy, our attitude, our focus, our teams, and on our application of the Eight Skills to our current projects. So work on those factors as well as get better at prioritizing your time. To improve your energy, healthy habits like standing desks, nap breaks, and drinking at least a liter of water a day (measure out what you must drink beforehand if you are bad at hydration) will all help. You can take your breaks informally, as most of us do, or on strict schedules, via methods like Pomodoro Technique, which a few folks find helpful. One good evidence-based book on energy and stress management is Loeher and Schwartz’s classic, The Power of Full Engagement (2005), which explains the theory and evidence behind having some high-intensity interval training in your weekly routines. See also Schwartz’s Be Excellent at Anything (2011). For more on time management, read Eric Barker’s brief How the Most Successful People Manage Their Time, Time.com, 9.2014. 4. Simplification and Prioritization. One of the great things about habits is that they free up mental energy for other tasks. Many successful and driven people (Albert Einstein, Steve Jobs, Mark Zuckerberg, Barak Obama) wore (and wear) nearly the same thing (or they choose from a small number of things) every day. President Obama, describing why he wears only blue or gray suits, referred to research that shows that the simple act of making decisions degrades our will to make additional decisions. Willpower, it turns out, is a finite daily resource. But even though it is finite, it can also be expanded or shrunk, like all other biology-based resources, by your healthy habits. Many elderly people have very well developed habits. Many of the most energetic and long-lived individuals usually have a time-tested set of rituals that structure their days. If you have habits, you should also have holidays. Time to renew, relax, and recreate. It’s best to keep at least day a week (usually a weekend day) entirely unstructured. Look to others to find time-tested habits, and try them out for yourself. In choosing and in sticking to your healthy habits, remember that in personal foresight and action, our greatest limitations are always self-imposed. As we age, we find it too easy to say, out loud or in our minds, “I can’t. I don’t. I won’t.” So ask yourself how your preconceptions and emotions block your achievable visions and self improvement, and choose friends of high character who will support your journey to excellence in learning, seeing, doing, and reviewing. Develop healthy habits that challenge you in all steps of your Do loop, and keep simplifying and tuning them. Self-knowledge and self-improvement are an endless journey of personal foresight. The journey to better self-foresight is as powerful, deep, subtle, surprising, and endless as your journey to understand the world. As Vera Nazarian says, it is only by going far in both directions that we truly know the universe.